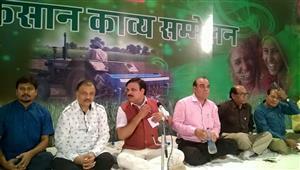 A kavi sammelan was organised at Bargarh (Orissa) on 2017, Dec 10th by Akhil Bhartiya Kavi Sammelan. 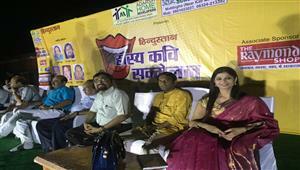 The four most popular kavi around were invited for their well liked poetry including Kavi Vineet Chauhan, Kavi Shambhu Shikhar, Kavi Balveer Singh Khichdi and poetess Padmini Sharma. Local public was seated and cheering for the program. All the four poets were energized and ready to blow the minds off. 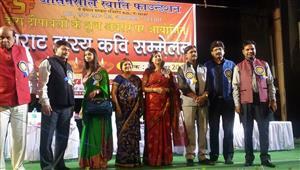 The program initiated with a very famous and eminent face of 'veer-ras' Kavi Vineet Chauhan. He has a magnificent energy in his words, those are been transferred to the audience via his poetry. 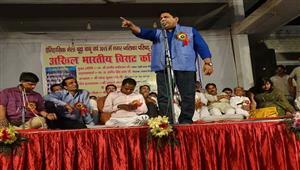 Kavi Vineet Chauhan is highly capable of spreading the warmth of nationalism and patriotic expressions. Kavi Balbeer Khichdi is a mature name with a childish heart. He makes the audience laugh with his little packs of jokes. His chucklesome poetry is quite amusing that freaks out the audience. He is undoubtedly the most famous Hasya Kavi of India. He recitesmuktaks over latest happenings all over the country. He can be considered as the most updated Hasya Kavi of India. People get crazy to listen him repeatedly. Hasya Kavi Shambhu Shikhar sounds stunning while reciting over GST, notebandi, SharabBandi and much more. He has the tricks to captivate the audience. 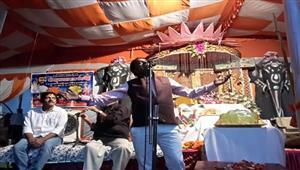 His magnetic style of recitation makes him the tip-top kavi of this era. 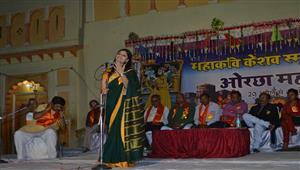 Poetess Padmini Sharma has a melodious voice and thus she sings beautifully expressed Geets and Kavita. She is a true figure of Indian culture and romance. Her geets are soaked into love, expression and romance. 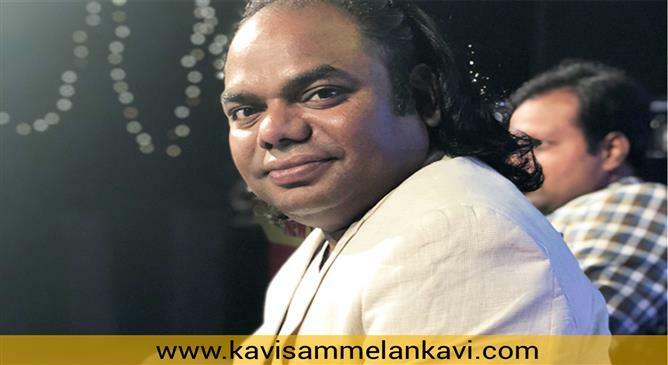 People are trending to book Kavi Sammelan on various functions/corporate parties/New Year/Holi and much more joyful occasions. Just placing a phone call or dropping an email is one-n-all step for inviting your favourite Kavi at your place.